While in Soisson we decided to take a little side trip. 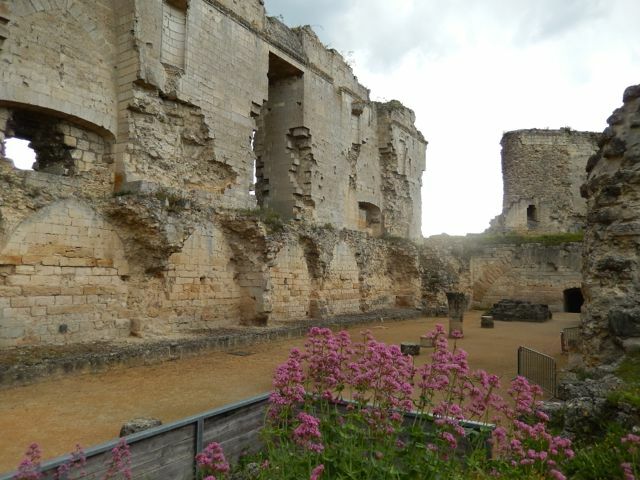 Lisa and I jumped in the car and drove 30 minutes to the remnants of Chateau du Coucy. In 1225 Coucy Castle was one of the largest fortified enclosures in France. 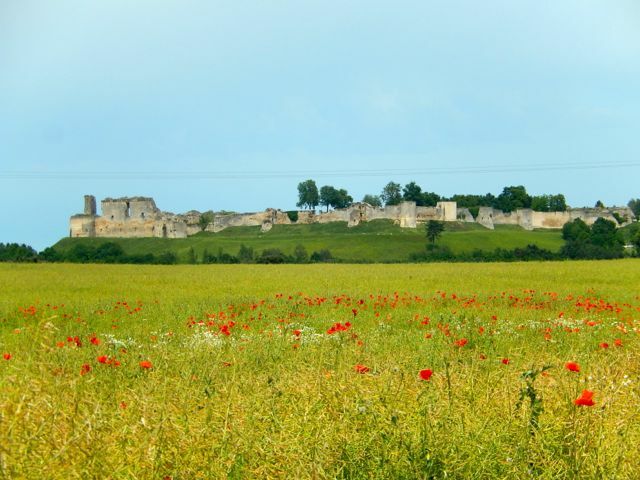 Enguerrand III built a wall surrounding the town that included 33 towers. The Keep was 65 feet taller than the one at the Louvre in Paris where the King of France lived. 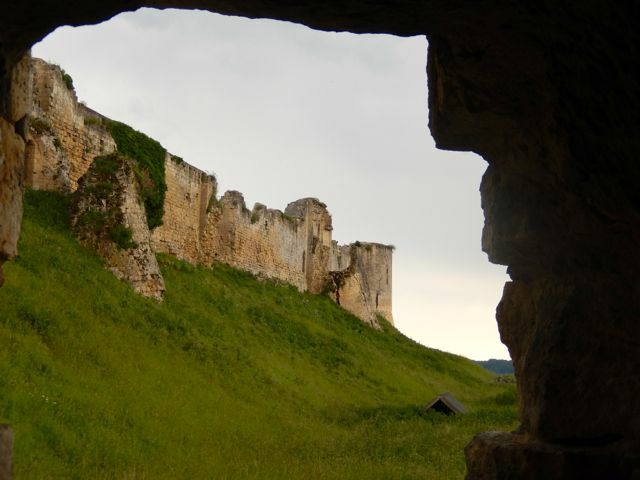 A Keep is usually the strongest defensive position in a castle, and the first structure to be built. When it comes to Keeps, size matters. To have one larger than the Kings means you’re something special. By the fourteenth century Enguerrand the VII had turned the chateau into a sumptuous castle. It had one of the largest meeting halls in the world. The remains of Coucy Castle. This pile of rubble is all that remains of the Keep. The Keep before the Germans destroyed it. 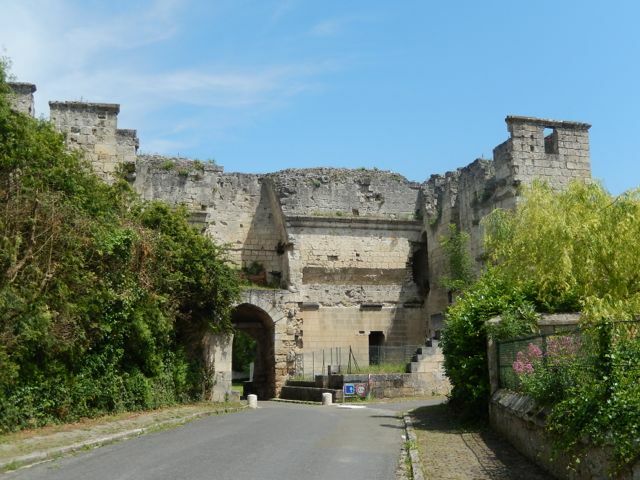 Eventually in 1400 the son of King Charles V, Louis d’Orleans purchased the castle to strengthen the defenses in the County of Valois. In 1652 demolition of the castle was ordered by royal decree because the Governor was suspected of subversion. Once the castle was unusable the materials were salvaged for other uses. 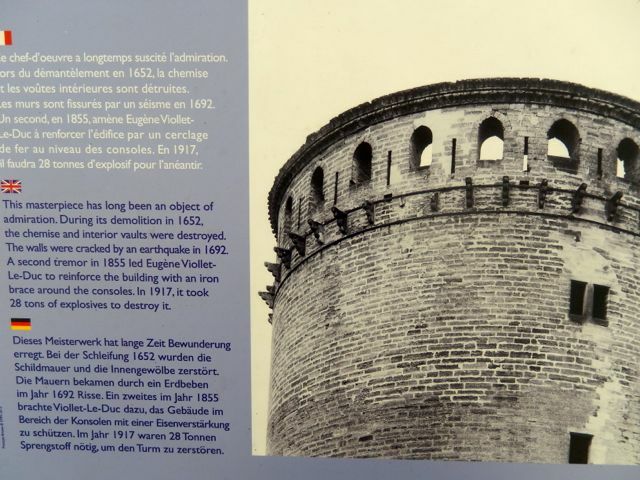 Finally in 1807 the government ordered that the remaining walls and large tower be protected. Much of the wall and many of the towers that surrounded the city have been demolished. Even so, you can still get an idea of what they must have been like as you enter the little village of Coucy through the remaining gates. Entering the village of Coucy through the old gates of the fortified town. 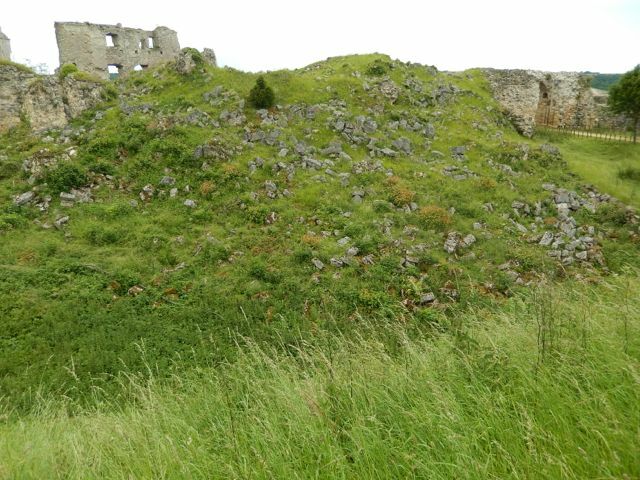 The remains of Castle Coucy’s fortified walls and towers. 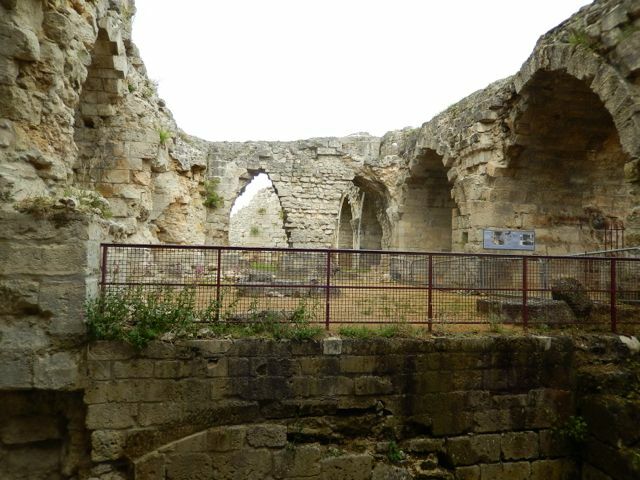 The beautiful ruins of Coucy attracted many visitors in the 19th century. In 1862 it was declared an historic monument. Unfortunately WWI came along, and on March 20, 1917 the retreating German army destroyed much of what remained. It took 28 tons of explosives just to demolish the Keep. Despite all the destruction there is still plenty to see at Coucy Castle. I particularly enjoyed standing in what use to be the basement, and staring up at the walls of the old meeting hall. Imagine what it must have been like with the huge fireplaces a blaze, and the giant knights in full armor perched in the alcoves high above. The ceiling was over four stories high, and said to resemble the inverted hull of a ship that was almost 200 ft. long. Looking up at the walls of the great hall. 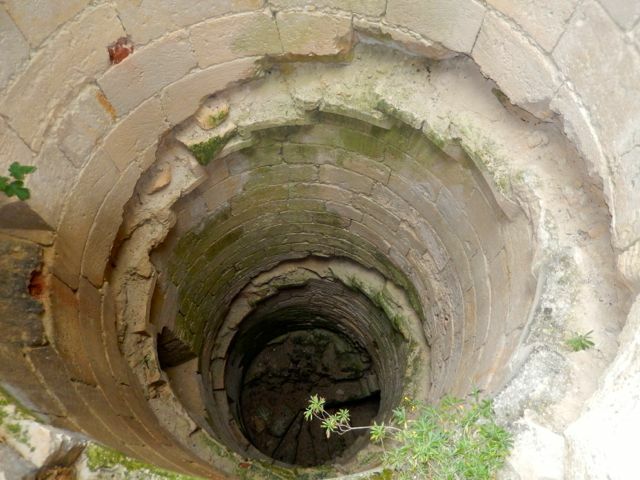 The dirt floor was the first basement. A depiction of what the great hall must have looked like. The remnants of a stairway down to the lower basement. The chapel, which was connected to the main meeting hall, was known for the quality of its stained glass. After taking in everything that is above ground there is still a second basement below you to explore. The remains of the old chapel. The self-guided tour has renderings of what the castle looked like in its heyday. 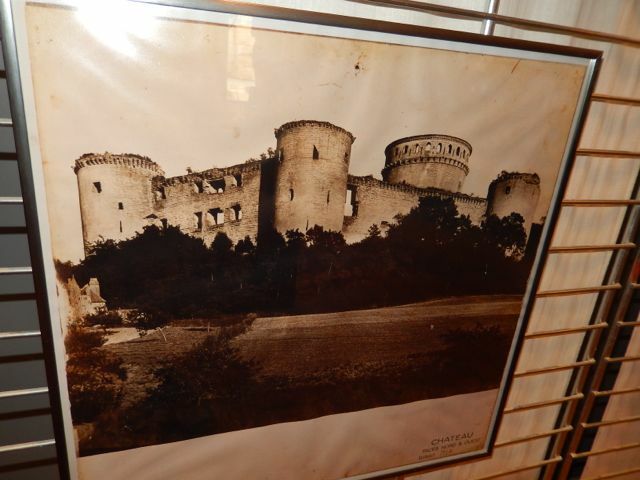 They also have pictures of the ruins before the Germans blew up what remained of the castle. 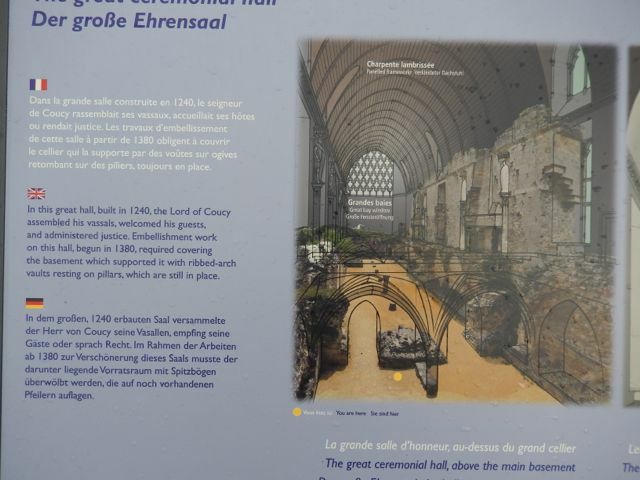 If you are ever in the area or close to Compiegne it is well worth the drive to visit this marvelous piece if history.